Basic Principles on the Use of Restrictive Measures (Sanctions), published by the Council of the European Union in 2004, highlighted the EU’s newly found focus on asserting itself as an entity with real and coherent political power at the global level. The inclusion of sanctions in the European Common Foreign and Security Policy (CFSP) heralds the EU’s more purposive approach to deploying a type of instrument which, if effectively calibrated, may play an increasingly important role in influencing the behaviour of international actors. The purpose of applying sanctions is to pursue the objectives of the CFSP, which are set out in Article 21 of the Treaty on European Union and include to safeguard the Union’s values, fundamental interests, security, independence and integrity; to consolidate and support democracy, the rule of law, human rights and the principles of international law; and to preserve peace, prevent conflicts and strengthen international security. EU sanctions policy necessarily takes into account the wider context of UN Security Council sanctions, given that the UN has a mandate to preserve international peace and security. The EU can impose sanctions, and generally does so where action by the UN Security Council would not be justified for whatever reason, or is prevented by lack of agreement among its members. Where the UN has already acted to impose sanctions, the EU does not need to intervene as its sanctions are effectively complementary to UN practice. The EU can therefore impose two types of sanctions: autonomous sanctions and sanctions that implement those set by the UN. The EU implements all sanctions imposed by the UN. The EU has the power to impose a wide range of measures. These include diplomatic sanctions (for instance, expulsion of diplomats and severing of diplomatic ties), suspension of cooperation with a third country, trade sanctions (which can be general or specific, or arms embargoes), financial sanctions (such as freezing of funds or economic resources, prohibitions on financial transactions and restrictions on export credits or investment), flight bans (in order to isolate a targeted country politically and economically) and restrictions on admission (in particular visa and travel bans). Such restrictive measures can target governments as well as non-state entities and individuals (for example alleged terrorist groups and terrorists). In relation to terrorism, the EU imposes sanctions on those groups and individuals present on the EU terrorism list. The general trend in EU sanctions so far has been in the form of arms embargoes, economic and financial sanctions and admission restrictions. The general rule is that sanctions must comply with EU law and principles as well as with rules of international law. There are two key aspects to this compliance: respecting human rights and fundamental freedoms, and respecting the EU’s international obligations, in particular the World Trade Organisation Agreements. In addition, all EU sanctions are subject to regular review, so as to keep them updated in accordance with new developments. Although EU regulations implement the sanctions in each member state without the need for further national legislation, the actual enforcement of sanctions is dealt with by individual states. Enforcement is carried out at the national level and is regulated by the national laws of the member states. There are no centralised EU legal rules on enforcement. Instead, this is covered by national criminal laws (as, for instance, with penalties for non-compliance with sanctions), national criminal procedure and national administrative laws. Enforcement is generally split into administrative measures (such as audits or warning letters) and criminal enforcement (such as investigations, prosecutions and settlement). Evidence from practice suggests that there is little published history of enforcement, as many investigations are settled out of court to avoid publicity for the entity involved. Moreover, it seems that the dependence of EU sanctions enforcement on the activity of individual member states has meant that the level of enforcement has been fairly low. Concern has been voiced regarding a potential disconnect between the increasingly active sanctions policy pursued by the EU and comparably inadequate monitoring of such sanctions. Deficiencies in monitoring are mainly due to national delegation of their enforcement. This is a serious issue, given that sanctions may be the only realistically coercive tool by which the EU can exert its foreign policy at the international level. In order to properly evaluate the effectiveness of EU sanctions policy, it is necessary to have data on monitoring their implementation and assessing their effect, but such data is currently missing. Some steps have been taken towards a centralised oversight of member states’ treatment of sanctions. In order to ensure adequate follow-up to EU decisions to impose sanctions, a specific council body has been set up dedicated to exchanging experience and developing best practice in the implementation and application of restrictive measures. The Foreign Relations Counsellors Working Party meets regularly in its specific ‘Sanctions formation’. Sanctions measures are subject to judicial review by the EU courts (the Court of Justice and the General Court). Applicants can bring annulment actions in respect of EU sanctions measures under Article 263 of the Treaty on the Functioning of the European Union. The bases on which applicants can challenge sanctions measures as against EU institutions are fourfold: lack of competence, infringement of an essential procedural requirement, infringement of the EU Treaties or of any rule of law relating to their application and misuse of powers. If the affected party has succeeded in obtaining the annulment of a disputed sanctions measure, it can bring an additional action against the EU institution for damages suffered as a result of the sanctions. However, to date the EU courts have rejected all damages applications in sanctions cases, the latest being Case T-293/12 Syria International Islamic Bank v. Council of 11 June 2014. 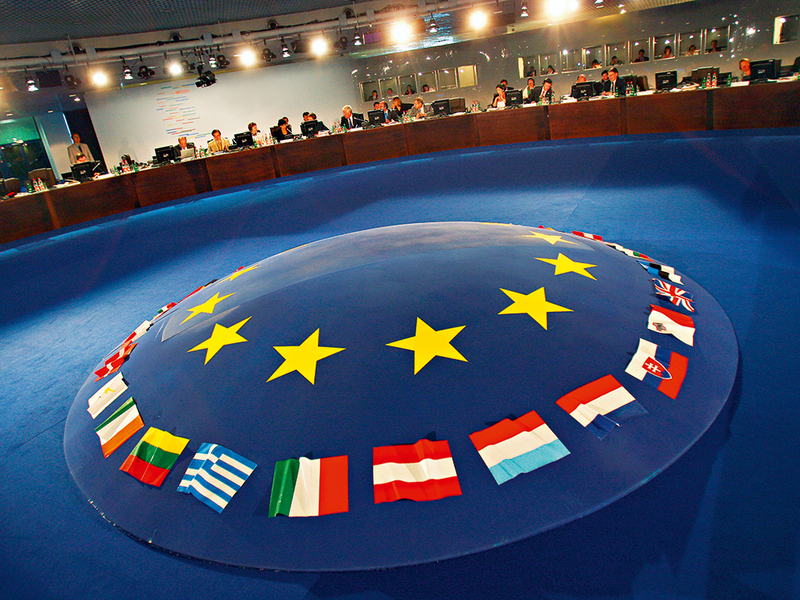 EU sanctions policy is becoming an important topic in international relations. Moreover, it is a fast-moving area, which is likely to generate a growing amount of litigation, as demonstrated by the substantial number of cases coming before the EU courts. In particular, targeted financial sanctions, directed at named private individuals, non-state actors (such as business organisations) and state officials are increasingly forming the core of the EU’s response to the behaviour of states such as Iran and Russia.